Music is the one power that the majority of developers never seem to grasp and implement correctly. Music in a game can enhance every aspect, be it story, setting, mood, or even gameplay, but for some reason, it always takes a back seat to everything else in a game, especially the graphics. Kondo: the Japanese French Stewart? Let me give you an example of how music, implemented to its fullest, can be beneficial to a game’s overall feeling. Shadow of the Colossus. How epic and strong did you feel when that music kicked in, when you finally started climbing the back of one of those monstrous Colossi? You felt something, didn’t you? It wasn’t visual feedback that created that feeling, or the fact that you overcame a puzzle. It was the pounding musical score that drove adrenaline through you. You felt like a true hero when that music started blaring, and that was the whole intent of the game. The character you portray, Wanderer, isn’t the best adventurer we’ve seen in video games. He stumbles when being thrust from side to side when on a Colossus. He trips when making small leaps across gaps. But once he begins on his road to defeating something a hundred times larger than he is, you know by common sense that this is a pretty big deal. And the music painted that picture for the player. Why do movies always have music running in the background? It’s because the director knows that’s how you feel the movie. Visuals can do so much, but it’s the music that truly describes, without words, what’s going on. Think of a scene that had music in the background and how you felt from it. Now, put different music in there. Then take the music out altogether. You’ll see that your feeling for what went on in the scene changed. Nothing plot-wise changed, but your perception of it did. That’s why the soundtrack for a movie always seems to be as long as the movie itself. It is there to complement what is going on screen, not supplement it. But, even though music has such power, not many developers use it to its fullest. Think of all the games out there with bad music. If a player turns his stereo on during a game, then the music director has failed. Of course, you can’t please everyone, but you have to think of the game itself before the player’s personal musical orientation. If a game gives player’s an option to import songs for use in the game, the director probably didn’t give enough attention to what a player should be feeling. He thought the player could think of better songs to complement the onscreen action. But a player will never do it right because he was never told how he should feel when playing the game to begin with. Think of when Rockstar gave the option to import songs into Vice City on the Xbox, where the setting is in the mid 1980’s. I bet you that most people didn’t incorporate songs that lent themselves to the setting correctly like the original soundtrack did. The meaning and feel of the game would easily be lost because of this seemingly cool option. Going back to Shadow of the Colossus, the music director, Kow Otani, understood what the game was trying to portray and made it easy for the player to grasp the idea that climbing something that big takes a special kind of person. An epic situation calls for epic music. And think of all those games where the feeling of the situation was completely ruined by poorly placed songs. An example of this can be seen in Tales of Symphonia. The game has some pretty good music, but none of it was put in the correct places. After listening to some songs by themselves on my stereo, without the help of the game, I came up with some crazy situations in my head, none of which correlated with what went on screen when I played the game. A lot of games do this. Probably because gameplay is definitely more important from a development point of view when creating a game, but there have been many occurrences of music enhancing certain types of gameplay that were never really good in the first place. One such example is Silent Hill 2. Now, I love Silent Hill 2. It’s one of my all-time favorite games. But if you break down the gameplay, you’ll see that it’s pretty bland. You basically just walked around and shot things. It’s a poor combat system, to say the least. But once you started watching some of the cut-scenes with that eerie techno/classical music, you started to freak out. Your mind began to bend around what was going on in the game. 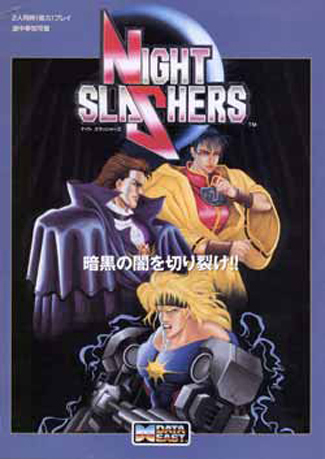 The gameplay became energized, all because of the music. It created this weird, eerie, and psychologically creepy mood for the player. And I enjoyed the game immensely. I needed to see the next scene, or find out the next plot-twist, just to see what the game could make me feel with its haunting musical score. There are definitely some games out there that have always given great amounts of attention to the musical presentation. You see it a lot in RPG’s, like Final Fantasy and Zelda. Bustling towns feel like bustling towns. Deep, dark caves feel like deep, dark caves. The game feels more like a real place than a game that had bad music. 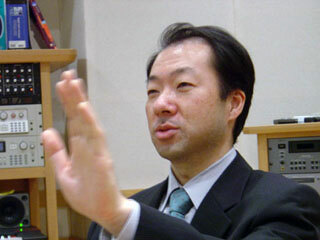 You can’t connect emotionally to a game if the music isn’t there a hundred percent, and these composers, Nobuo Uematsu and Koji Kondo respectively, fully understood that. The expression on Mizuguchi’s face makes it clear this pic was taken before reviews of Ninety-Nine Nights surfaced. Other such notable examples of great in-game music are Burnout 3, the Ace Combat series, Katamari Damacy, and Rez. Burnout made you push the petal harder. Ace Combat made that dog fight feel like the world rested in your arms. And Katamari Damacy put your head in completely different directions. 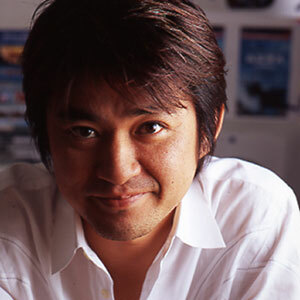 Tetsuya Mizuguchi has always shown big support for in-game music, but he never got himself out of techno music. He type-casted himself in that genre, and I really wish he’d venture out into other forms, just to see what he can come up with. He does a great job regardless (look at Lumines and the aforementioned Rez), and he is one of a few people that could show developers the right way of implementing music in their games. I’m not going to name certain games that have really bad music, just because I’m in no place to call out specific composers. Maybe the game designer wasn’t sure about how to implement the music. Maybe the composer was swamped with other projects, which many people cite as one of the many problems with Nobuo Uematsu and his score for Final Fantasy X (I still loved the album, though). You have probably come across many instances of poor musical scores, and felt a lack of passion within the game. So I leave that list for you, my fellow readers, to create. Music; it has the power to quell the beast. It can calm down a hectic day, or make it as crazy as you want it to be, but it still has not shown itself to the development community as one of the integral parts of a great game. "Battle with a Boss" from FF4 is the best song in the series. Curiously though, as much as I defend custom playlists, I’m not a huge fan of the trend of using licensed music in a soundtrack. Okay, so that’s a little bias of me; I love the soundtracks in the early Pro Skater games. Madden on the other hand… What I mean is that licensed music often seems to be used as a lazy cop out, and rarely seems to reflect the mood of the game. And to play Devil’s Advocate, at the same time there are a lot of composed soundtracks for jRPGs that I find are very mundane (especially Uematsu’s – I’ll admit it). I think this just all means that there is a lot of work that can be done on in game music. A large part of the problem is that designer’s are disconnected from music a lot of the time (I know this from my reading, not experience). Music isn’t thought of in the same way as level design, plot and graphics. It is often farmed out, or the composer meets with the designer once or twice and the designer gives him a list of music he needs. Then a month or however long later the composer comes back and viola, a game has music. Christian, if you think Final Fantasy 6 has overrated music…I don’t know, I’ll probably do something pretty brash. Great article.I was quite impressed by SOTC’s music when I played it. Music can make a good game seem tedious, or a boring system seem excellent. As for composers, it helps considerably if they seem to have a good idea of what the theme of the game/city/area is (you can usually tell by the music).Making any part of sound below par is a great way to make me just stop playing a game. I’ve been turned off by a few games just because the music was repetetive/annoying or the voice actors didn’t know what they were doing. The reverse holds true too. Jay- no, FF6 is probably his best all around work. In fact its the only FF game where I can remember the music from it (save for small sectoins of 4). I just don’t think Uematsu’s quite as good as his peers. Sugiyama is more classically trained, and Kondo just knows how to make catchy tunes for this medium. 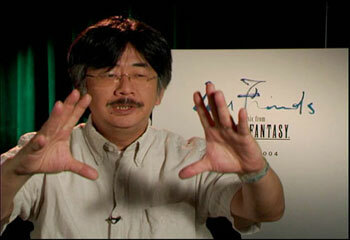 Uematsu likes to use lots of rock heavy orchestral pieces, and it doens’t always blend well. I guess you can distill my thoughts on him by my complete loss of understanding as to why "One Winged Angel" is so popular.